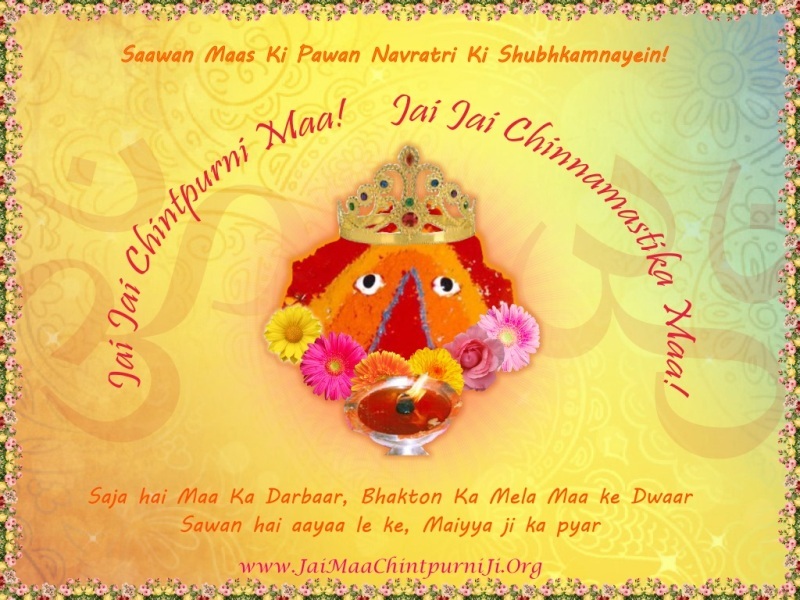 Chintpurni Festivals - Jai Maa Chintpurni Ji! 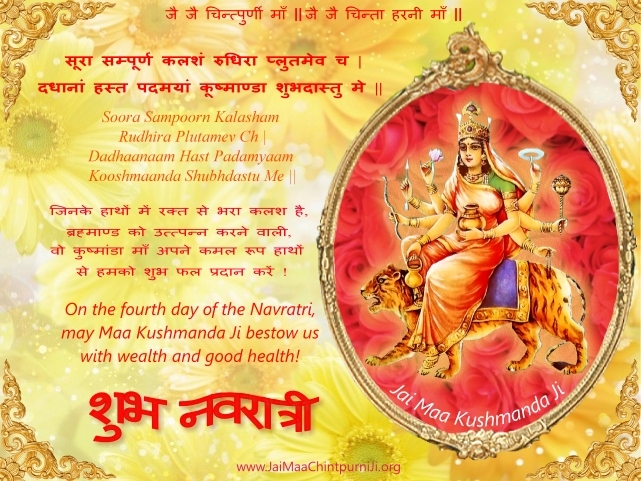 Jai Maa Chhinnmastika Ji! 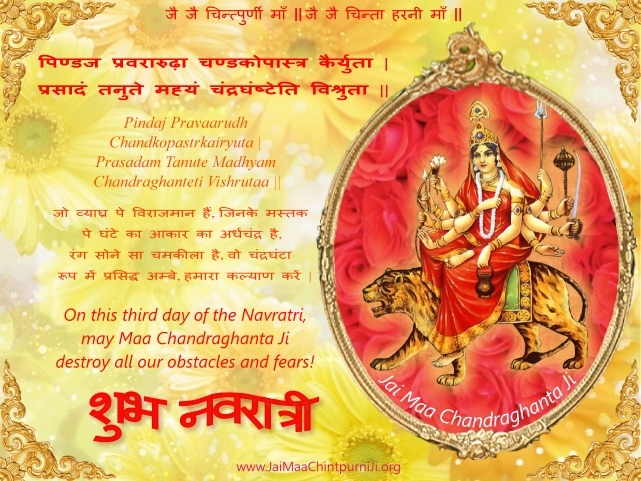 It is grand festivity and most sacred time for Maa Durga devotees at the Mata Chintpurni temple during Navratri each year. 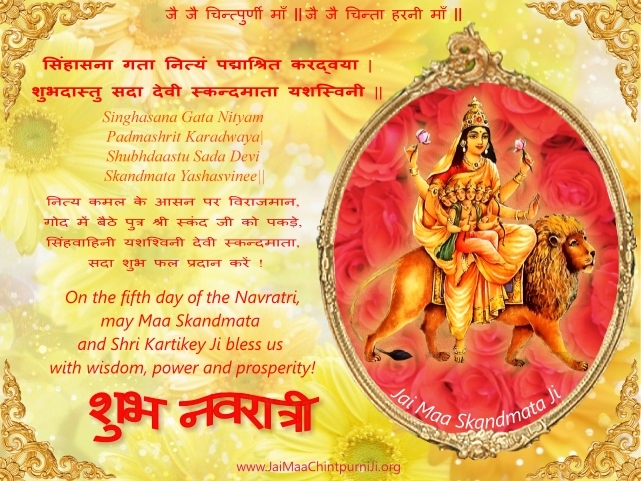 Navratri festival is dedicated to Maa Durga and is celebrated for nine days. 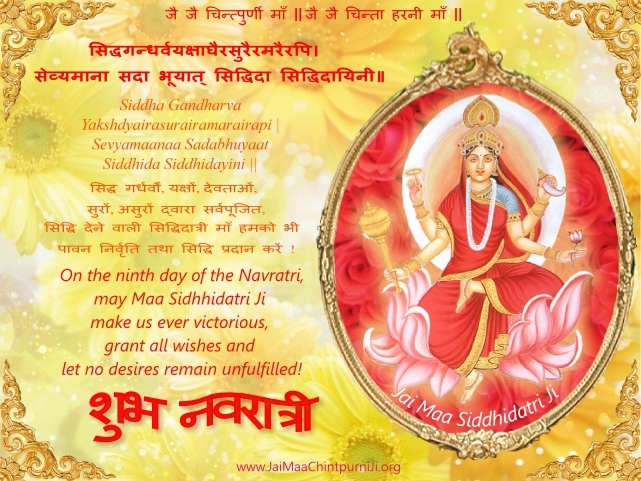 The word Navratri itself means ‘nine nights’. Each day of the Navratri is dedicated to one of the nine manifestions of Maa Durga, all nine together called NavDurga. 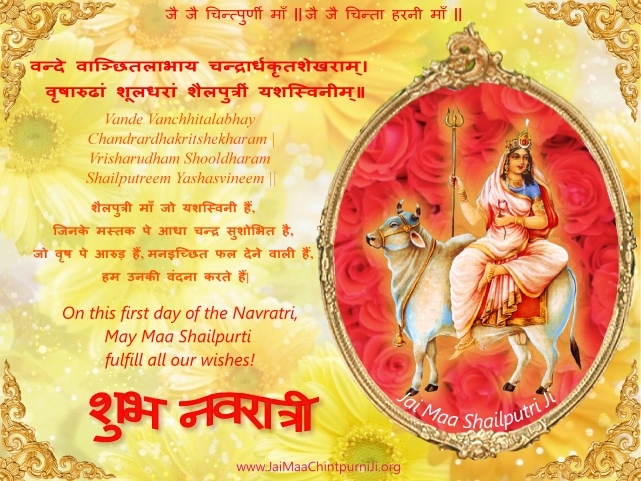 Navratri is observed in the months of Chet (March – April), Sawan (July – August) and Ashwin (October – November) each year. 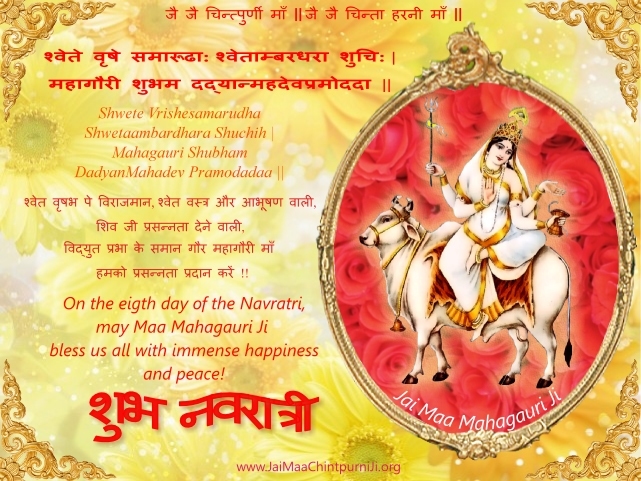 The most revered Mata Chintpurni Mela (fair) is held for ten days during the Sawan Navratri. This falls between July and August each year. 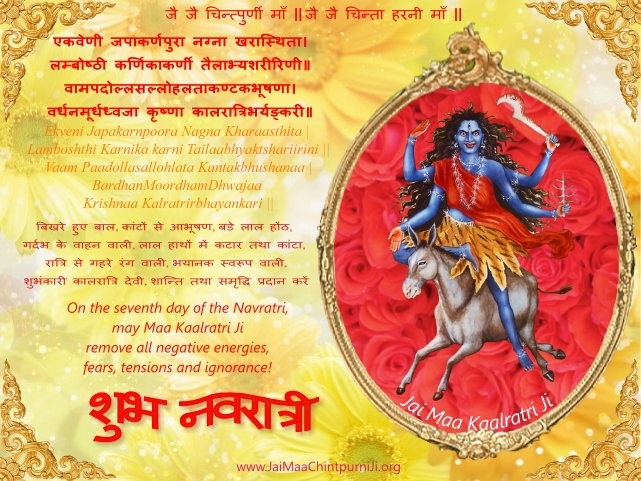 The temple observes great festivity during Navrati days. Devotees from far and near visit the temple to seek Maa Chintpurni’s blessings during these special days. The fair continues day and night for all nine days but the devotees presence is the largest on its eighth day called the Ashtami. Devotees come by private vehicles, public transport buses or even on foot. Maa’s devotees, individually or as groups, set up langar (free food service) all along the road reaching the temple. Langar is freely distributed to all passing by the road. Food items of all sorts, rice, vegetables, sweets, water, etc are used for distribution. This continues for all nine days of the festival. 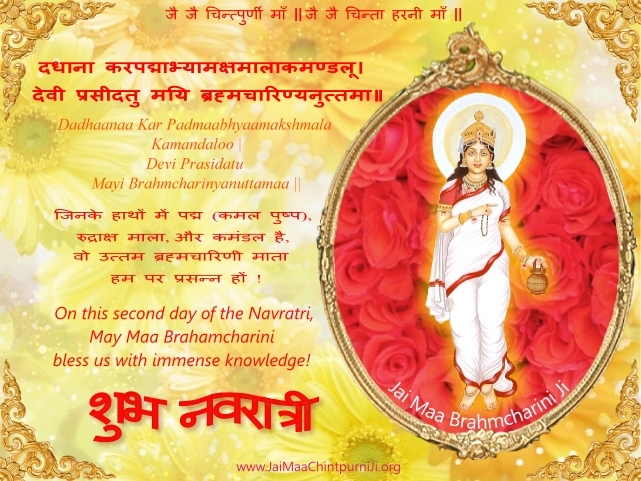 Devotees, in large numbers, visiting the temple enjoy the travel and sing praises of Maa Chintpurni Ji. Medical stalls are also put up along the way to ensure availability of medical facilities as well.